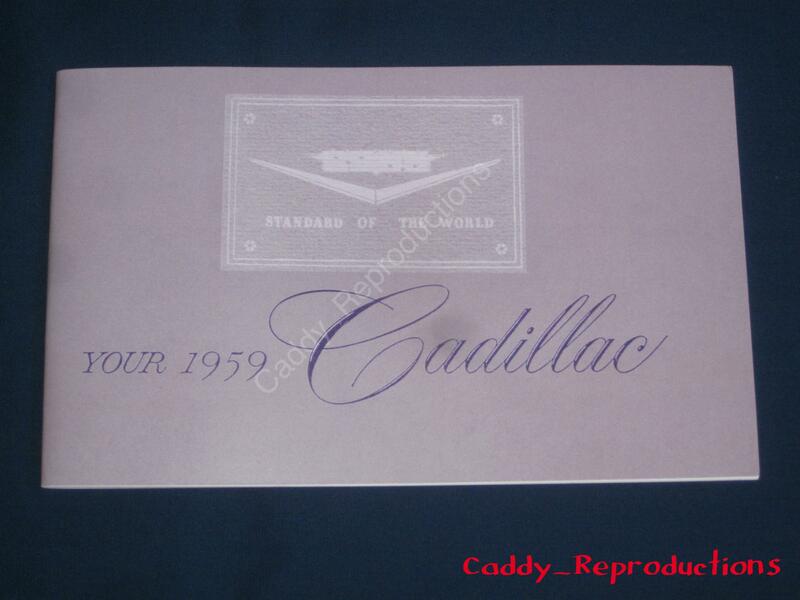 Here is a New Copy of an Original 1959 Cadillac Owners Manual. It covers Operating Procedures for 59 Cadillac's & even includes Convertible Operating Procedures. Very Nice Copy of the Original, with Card Stock Cover. We have other years Available from 1951 - 1966, if you do not see the year you need, Please let us know.